If you need gifts for women friends or gifts for family, we have found some really unique things. There are plenty of fun things on this list, but there are also a few practical things. I personally appreciate practical gifts. We found gifts in all price ranges so you can check all of your favorite women off your gift list this year. Nothing compares to the soft and luxurious feeling of the Barefoot Dreams Cozy Chic Legendary Robe. It’s irresistibly cozy and the perfect way for her to start and end her day. The adjustable belt allows for a perfect fit, and the Cozychic material is irresistibly comfortable. 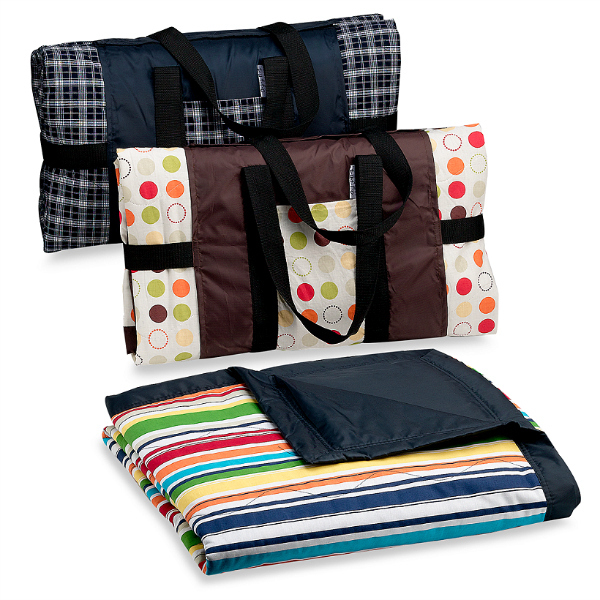 It is made of cozy microfiber that is machine washable. The Rebecca Minkoff Adventure Awaits Passport Holder would be a beautiful gift idea for a woman who loves to travel. This bifold passport holder is made of pebbled leather. It has a lined interior with half-sleeves on each side. It is embossed ‘Adventure Awaits’ lettering at the front. If the woman in your life loves espresso, then she will love this Breville The Barista Express machine. Instead of frequenting the local coffee chain to get quality espresso machine, make your own at home. The Breville Barista Express solves this problem, delivering fresh, quality espresso at remarkable speed, thanks to its integrated burr grinder. Go from beans to espresso in under a minute—all in the comfort of your own home. I love the styling of these Napo Leather Touchscreen Gloves. They are fully-lined and made with nice Sheepskin leather and you can easily use your smartphone, tablet or GPS touchscreen with your gloves on. They come in several styles like a cute studded pair or a pretty perforated pair. This little gift book contains fill-in-the-blank lines describing some aspect of your affection for your beloved. Just complete each line and voilà: you have a uniquely personal gift your loved one will read again and again. Make it as mushy, racy, or witty as you choose! Simple prompts make it easy to express yourself with this What I Love About You Fill in Journal. These cute, tiny books come in lots of other themes as well. This Tea Forte Single Steeps Tea Chest is an expansive selection of 28 loose leaf teas and herbal infusions that would make a great gift for any tea-lover. Presented in easy to use, pre-portioned Single Steeps pouches with a detailed tasting menu on the inner lid to help her select her favorite blend. These loose tea singles are a convenient and simple way to prepare the perfect cup of premium loose leaf tea. Simply open the pouch, pour the contents into a teapot or infusing basket, pour water over the leaves steep and enjoy the perfect 12 oz cup of tea. This beautiful Anjou Aromatherapy Diffuser and Humidifier will be a hit with the women in your life. They are beautiful and functional when it comes to diffusing essential oils. The 7 color-changing LED lights (each adjustable with a bright and dim mode) allows the Anjou Essential Oil Diffuser to fit in any room. Watch the hypnotizing display, set it to one color, or even turn it off entirely. The auto shut-off feature will turn the device off when it runs out of water, which is a great safety feature. Pair this diffuser with this nice gift set of aromatherapy oils. This unique Bamboo Bathtub Caddy is made of the high quality and eco-friendly wood. It is durable, water-resistant and has expanding sides that go up to 43 inches to accomodate larger bathtubs. The silicone grips keeps your tray from slipping or scratching your tub. This caddy features a reading or tablet stand, a secure area for a cell phone, a slot for a wine glass, plus several other compartments. If the woman in your life is looking to step up her strength, stability and mental focus, then she would love this Fit and Me Balance Board. It is a total-body fitness tool for all ages and levels of ability. Although it’s simple in design, this balance training & physical therapy tool packs a powerful fitness punch. It’s not just for standing on; she can use this platform to perform a variety of total-body exercises that improve posture, flexibility, focus, agility and range of motion. It is made of premium wood, holds up to 330 lbs. and features secure nonslip pads for added safety. The woman in your life will love these gorgeous Kendra Scott Elisa Necklace. It comes in several different metal tones and it will be come a staple piece in her wardrobe. These wildly popular necklaces are both simple and delicate. The Satechi Aluminum iPhone Stand charges, docks, and showcases your iPhone. Designed with convenience in mind, simply place your device on the metal stand for hands-free, convenient access to your phone as it charges. Intended to work with your lighting cable and almost any iPhone case, the stand organizes your work space, while maintaining clean, functional style. Colors offered in Space Grey, Silver, Gold and Rose Gold. Be sure to check if it works with her model of iPhone. If the women in your life love to surf their tablet in bed, they need one of these cool, Tablift Tablet Stands. The Tablift is a unique universal tablet stand made for all the places normal tablet stands will not work: the bed, couch, or any uneven surface. It will hold your tablet in the ideal viewing position, even when lying completely flat, without having to rest it or balance it on your body. The Tablift works with virtually any tablet. The patented hands free design allows you to free your hands, making watching movies and videos, reading, video calls, and other activities much easier and enjoyable. The Tablift transforms your tablet experience in the places you use your tablet the most. The legs fold easily for storage. Makeup palettes from companies like Urban Decay, Too Faced and more are wildly popular these days. If her palettes are stacked all over the place, she might love this acrylic Makeup Palette organizer. This premium acrylic palette organizer comes with 8 individual spaces for storing standard sized palettes. This organizer is designed with removable dividers and can stand or lay flat. If you watched the Oprah’s favorite things show, you will recognize this gorgeous UGG Australia Women’s Kristin Slim Sheepskin Boot . Part of the new Classic Slim Collection, this evolution of the Classic Mini features the premium materials, expert craftsmanship, and signature comfort you expect from UGG in a slimmer silhouette. Rendered in Twinface sheepskin and suede that has been pretreated to repel water and stains, the Kristin also features added arch support, a small wedge, and the innovative Treadlite by UGG outsole for incredibly lightweight traction. These adorable boots come in several great colors. Do the women in your life love to take photos with her cell phone? She will also love printing out her photos wirelessly with this Canon SELPHY Portable Wireless Compact Photo Color Printer . It’s small and you can print edge-to-edge photos without connecting to a network from your mobile device like your ipad, iphone, ipod and more. Be sure to check if your preferred device is compatible. Enjoy a smooth, easy ride with the Urban Lady cruiser bike from Firmstrong , which comes in two sizes — 24-inch and 26-inch. The Urban Lady comes as a single-speed that’s ideal for casual riding, a three-speed that’s perfect for long rides and climbing hills, and a seven-speed that uses a top-of-the-line Shimano internal gear shifting system, enabling you to enjoy more high intensity riding and to go farther distances than ever imagined possible on a cruiser. The choice is yours. The wide, oversized seat completes your comfort with dual springs that help make the ride soft and cushy. Other features include wide cruiser bike handlebars with synthetic leather grips, waffle tread tires, and a guard to protect pant cuffs from getting caught in the chain. The bike is shipped 80 percent assembled. Firmstrong has been designing high quality, affordable bikes for over 10 years with a focus on blending style and functionality to create a fun, adventurous experience for riders — not just a mode of transportation. You choose the size, number of speeds and color! These gorgeous Alex and Ani Bracelets are all the rage and come in so many fun themes and metal colors. My Mom got me some of these pretty bracelets as a gift and she wears them too. They are great for all ages. My tween daughter has even put them on her wishlist! I love the spiritual bangles, the beaded bangles and even the fun Disney bangles. I am a big fan of Breville products and if the woman in your life loves tea, then you will want to check out these neat machines. The highly-reviewed Breville Variable-Temperature 1.8-Liter Kettle and the Breville One-Touch Tea Maker are both great machines for brewing that perfect cup of tea. I have the One-Touch machine and it brews my tea at the perfect temperature and it couldn’t be easier. No more bitter-tasting tea from brewing it incorrectly. 21. Letters to My Love: Write Now. Read Later. Treasure Forever. and Letters to My Grandchild: Write Now. Read Later. Treasure Forever. I love these all new time capsule books and they were featured as one of Oprah’s Favorite Things. Letters to My Love: Write Now. Read Later. Treasure Forever. makes a great gift idea for women. Nothing is more romantic than a handwritten love letter. Like a dozen grand gestures in one, this innovative format invites romantics to declare their affection to their beloved in 12 fold-and-mail letters to be opened in the future. Ideal for wedding anniversaries, long-distance relationships, or engaged couples, this paper keepsake captures a moment in time. You can also check out Letters to My Grandchild: Write Now. Read Later. Treasure Forever. and Letters to My Baby: Write Now. Read Later. Treasure Forever. The Arlington Milne Women’s Large Wallet and Clutch is a gorgeous hybrid of wallet and clutch, this premium leather bag comes in more than 25 vibrant colors and fits credit cards, cash, even a phone. So you can drop your essentials into a tote, or use it alone when you’re traveling light. Be sure to check out the pretty rose gold one! This would make a great gift idea for women. If your teen is a minimalist and just carries maybe a card, her cell and some cash, you might want to check out this affordable Sinjimoru Cell Phone Stick-On Wallet . It comes in 14 vibrant colors and it holds up to a maximum of 10 credit cards, due to the high quality elastic fabric used for the pocket. It sticks directly to your phone with a strong, yet removable 3M adhesive and it supports any cell phone with a flat back. Forget that old fanny pack or armband! The FlipBelt is a neat way to go hands-free for exercising, running or it would even work great for vacations. The mothers in your life will love this neat belt. The Polyester/Lycra fabric wicks moisture, dries quickly and is soft against your skin. It is machine washable and comes in a variety of colors and sizes. What a fun gift idea for Mother’s Day. I have had the same old blanket in the back of my car for the past year. I keep it in there for us to sit on while we watch my boys’ soccer practices, but it it is far from water resistant. The Tuffo Water-Resistant Outdoor Blanket is on my wish list this year. This blanket is perfect for sporting events, picnics, the beach, music in the park and more. It’s padded and comes in 10 different patterns. I love that it folds into a carrying case. The case includes storage pockets if you need to carry additional items. The Silhouette Cameo 3 Electronic Cutting Machine Starter Bundle is my absolute favorite crafting toy. The Silhouette Cameo uses digital images from your computer and uses a small blade to cut paper, vinyl, vellum and fabric. It can cut up to 12 inches and 10 feet long. Just plug this machine into your computer and use the included software to start crafting or use the wireless bluetooth technology to get a wireless connection. What sets this machine apart is it’s ability to print and cut. You can design a label on your Silhouette Studio Software and print it on your home printer. The Cameo has a special sensor that tells it how to cut around your label after it’s printed on your home computer. So cool! This cool little kitchen gadget is great for frothing milk for your favorite espresso drink. This petite, yet powerful little tool will froth milk in as little as 10 seconds. 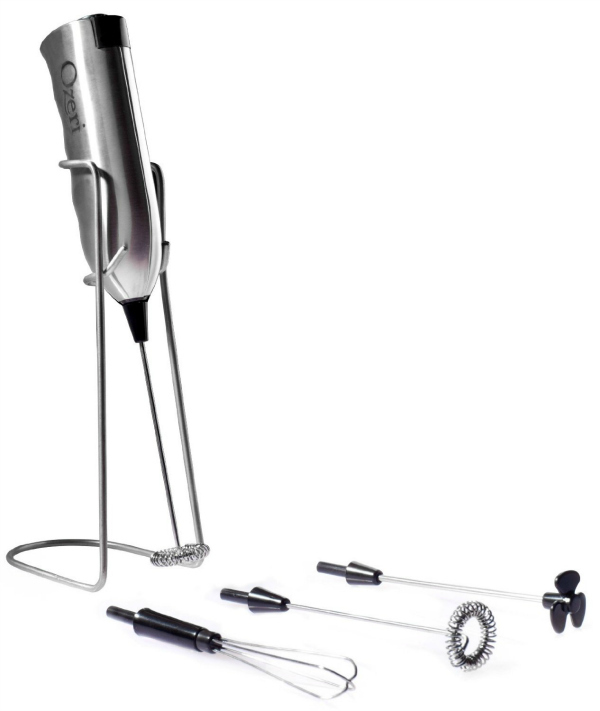 The Ozeri Deluxe Milk Frother & Whisk comes with 4 attachments and you can also mix shakes, beat eggs, mix cocktails and so much more. Versace Bright Crystal Perfume for Women is inspired by a mixture of Donatella Versace’s favorite floral fragrances. Bright Crystal is a fresh, sensual blend of refreshing chilled yuzu and pomegranate mingled with soothing blossoms of peony, magnolia, and lotus flower, warmed with notes of musk and amber. It has notes of: Iced Accord, Yuzu, Pomegranate, Peony, Magnolia, Lotus Flower, Acajou, Vegetal Amber, Musk. This fun fragrance is perfect for day or night. This blender is the Cadillac of all of the blenders. The Vitamix TurboBlend is very highly-reviewed and easily blends everything from smoothies to soups, sauces and more. It has a 2-peak horsepower motor and holds up to 64 ounces. 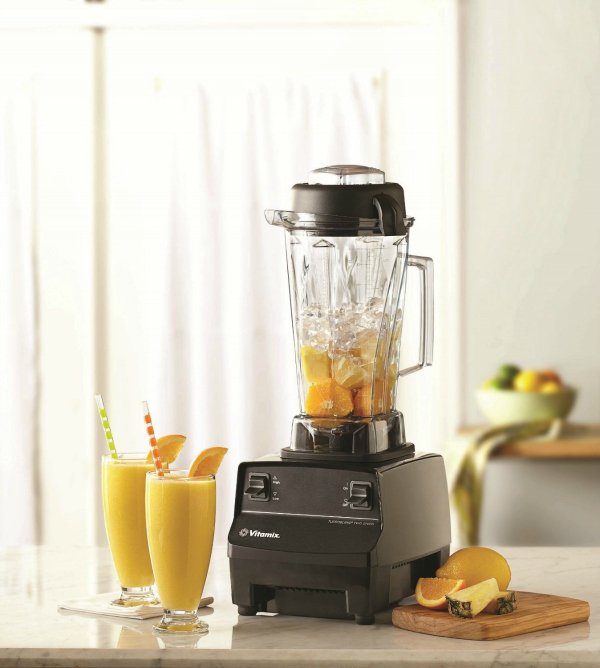 This commercial-grade blender comes with a 5-year warranty. Real Simple Magazine is one of my favorite magazines as it covers so many different topics. 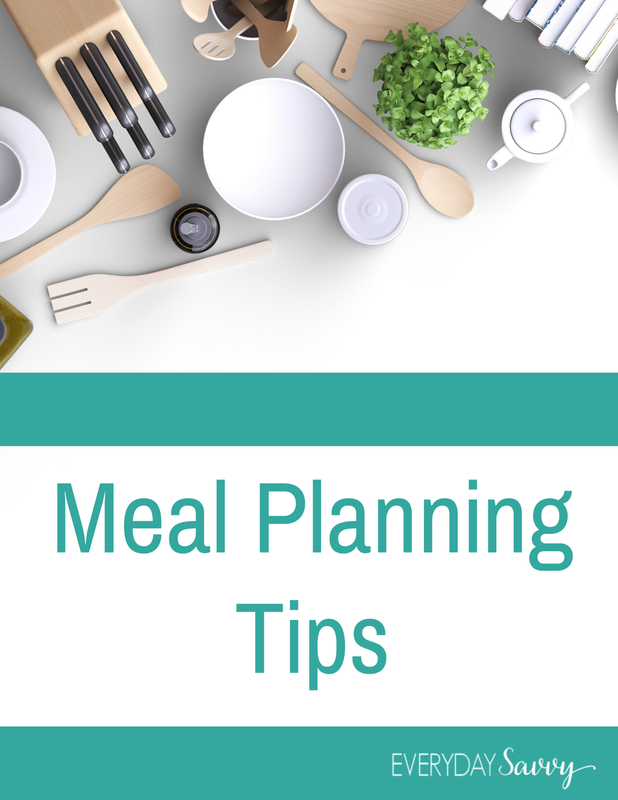 There are great recipes, organizing and decorating tips, fashion finds and so much more. 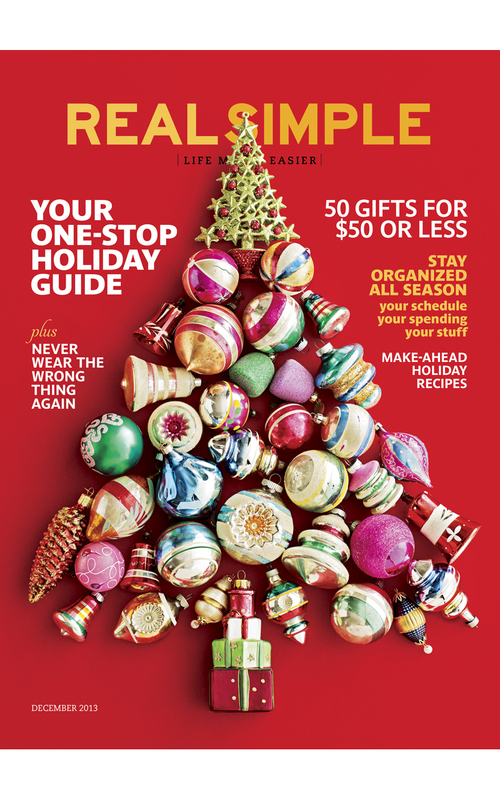 Plus, magazines are one of my favorite gifts to give as it’s fun for your recipient to receive issues all year long. It’s the gift that keeps on giving. Several different ring holders are featured above and they come in many different price ranges. Ring holders are great because you can safely store your rings on the holder in your bathroom while you are not wearing them. One of my girlfriends gives these as bridal shower gifts and they are perfect because not too many people already own one and they are very handy. I love this really gorgeous Nambe Heart Ring Holder and it makes a really elegant gift. Umbra has an array of ring holders made of cast metal with a chrome finish. They have many different affordable designs, including cats, elephants, and this unique Umbra Eiffel Tower Ring Holder . This Lenox Opal Innocence Extra Tall Ring Holder is very pretty and holds several rings. If you love this list of gift ideas for women, and you need more gift ideas, then check out our great gift ideas page. We will be adding more gift ideas and holiday shopping tips all month. Be sure to sign up for our free newsletter so all the updates comes right your inbox.